The Pittsburgh airport has a tribute to Fred Rogers in one of the terminal corridors. When I was there last week I took the opportunity to see it. 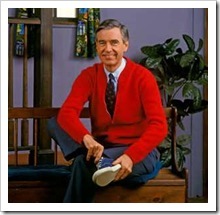 It reminded me of how much I enjoyed Mr. Roger’s shows when my children were growing up. Some days when watching his program I felt that he was speaking more to adults as they needed to learn the lessons he was teaching so they could instill them in their children. 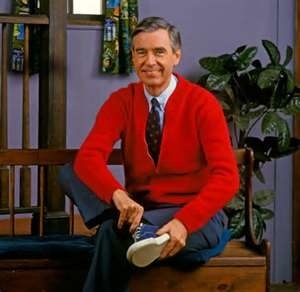 Thank you Mr. Rogers! This entry was posted on Wednesday, July 15th, 2015 at 8:00 am by Tina Del Buono, PMAC.